Jets of high energy particles emanating from a black hole have been detected plenty of times before, but in other galaxies, that is — not from the supermassive black hole at the center of the Milky Way, known as Sagittarius A* (Sgr A**). Previous studies and other evidence suggested that perhaps there were jets – or ghosts of past jets – but many findings and studies often contradicted each other, and none were considered definitive. Now, astronomers using Chandra X-ray Observatory and the Very Large Array (VLA) radio telescope have found strong evidence Sgr A* is producing a jet of high-energy particles. “For decades astronomers have looked for a jet associated with the Milky Way’s black hole. Our new observations make the strongest case yet for such a jet,” said Zhiyuan Li of Nanjing University in China, lead author of a study in The Astrophysical Journal. The supermassive black hole at the center of the Milky Way is about four million times more massive than our Sun and lies about 26,000 light-years from Earth. While the common notion is that black holes inhale and ingest everything that comes their way, that’s not always true. Sometimes they reject small portions of incoming mass, pushing it away in the form of a powerful jet, and many times a pair of jets. These jets also feed the surroundings, releasing both mass and energy and likely play important roles in regulating the rate of formation of new stars. Sgr A* is presently known to be consuming very little material, and so the jet is weak, making it difficult to detect. Astronomers don’t see another jet “shooting” in the opposite direction but that may be because of gas or dust blocking the line of sight from Earth or a lack of material to fuel the jet. Or there may be just a single jet. “We were very eager to find a jet from Sgr A* because it tells us the direction of the black hole’s spin axis. This gives us important clues about the growth history of the black hole,” said Mark Morris of the University of California at Los Angeles, a co-author of the study. The study shows the spin axis of Sgr A* is pointing in one direction, parallel to the rotation axis of the Milky Way, which indicates to astronomers that gas and dust have migrated steadily into Sgr A* over the past 10 billion years. If the Milky Way had collided with large galaxies in the recent past and their central black holes had merged with Sgr A*, the jet could point in any direction. 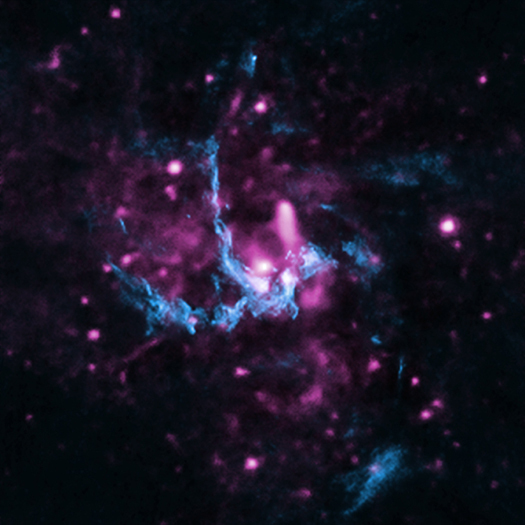 The jet appears to be running into gas near Sgr A*, producing X-rays detected by Chandra and radio emission observed by the VLA. The two key pieces of evidence for the jet are a straight line of X-ray emitting gas that points toward Sgr A* and a shock front — similar to a sonic boom — seen in radio data, where the jet appears to be striking the gas. Additionally, the energy signature, or spectrum, in X-rays of Sgr A* resembles that of jets coming from supermassive black holes in other galaxies. The Chandra observations in this study were taken between September 1999 and March 2011, with a total exposure of about 17 days. How resilient is Indian economy? The growth forecasts for Indian economy have recently been revised downwards. Reeling under gross mismanagement, the Indian economy seems to be in a state of mess. However, the Finance Minister feels otherwise. He believes that India is in a better position than other economies to deal with it on account of high savings rate and domestic demand along with regulatory mechanisms. Given the current circumstances, the picture portrayed by Finance Minister is too rosy to be real. He draws support from a huge young population and hence a robust domestic demand, a strong Indian banking system and diversified exports base. However, with disturbances in the global economy, it is only logical to expect that demand of exported goods will slow down. The role of major Asian economies, especially India and China, in running the global growth engine can’t be undermined. These economies have the advantage of a huge chunk of young population that will keep the demand vibrant and add to the productivity. However, while China is making the right moves by shifting focus to tap the domestic demand, India seems to have landed itself in a very precarious situation. With twin deficits gaping us wide in our face and rupee in a free fall, an optimistic tone for Indian economy looks so out of place. Our regulatory mechanisms might have worked in the past; however, the country seems to be falling too short on action in policy front. This is keeping foreign investors at bay. The absence of domestic funds and lack of foreign investment will lead to infrastructural deficit thus wasting the potential of youngsters. It is said that tough times can teach a lot. Looks like our time to learn has come. Hope the Government stops fiddling while the country is burning and wakes up to the need of reforms before it is too late. By Equitymaster – India’s leading ‘independent’ equity research initiative. Trusted by over a million members all over the world, Equitymaster is known for its well-researched, unbiased and honest opinions on theIndian stock markets. Posted in Economic Upheavals, India Forgotten | Tagged: asia, Banking in India, china, Economy of India, Finance Minister, government, India, Stock market | Comments Off on How resilient is Indian economy? Beijing, May 29 (IANS) Archaeologists in China have unearthed two shipwrecks under an artificial waterway that remained buried forcenturies. Over 600 artifacts have also been recovered from the site in Tianjin, the Tianjin Cultural Heritage Protection Centre said. The wrecks, which date back to Ming Dynasty (1368-1644), first came to light in April, after workers dredged a section of the Grand Canal, said Mei Pengyun, centre director. The 1,776 km-long Grand Canal passes through several provinces in northern and eastern China. The oldest sections of the canal were built 2,500 years ago, People’s Daily reported Tuesday. The discovery will provide insights into construction of ships inancient China, archaeologists said. AMMAN/BEIRUT (Reuters) – Syrian security forces fired live ammunition to break up a protest against President Bashar al-Assadin Damascus on Saturday, killing at least one person, opposition activists said. A Chinese envoy met the Syrian leader earlier in the day and urged all sides to end 11 months of bloodshed, while backing a government plan for elections. The shooting broke out at the funerals of three youths killed on Friday in an anti-Assad protest that was one of the biggest in the capital since a nationwide uprising started. “They started firing at the crowd right after the burial. People are running and trying to take cover in the alleyways,” said a witness, speaking to Reuters in Amman by telephone. The opposition Syrian Revolution Coordination Union said the gunfire near the cemetery had killed one mourner and wounded four, including a woman who was hit in the head. Up to 30,000 demonstrators had taken to the streets in the Mezze district of Damascus, witnesses said. Footage of the funeral broadcast live on the Internet showed women ululating to honor the victims. Mourners shouted: “We sacrifice our blood, our soul for you martyrs. One, one, one, the Syrian people are one”. Assad described the turmoil racking Syria as a ploy to split the country. “What Syria is facing is fundamentally an effort to divide it and affect its geopolitical place and historic role in the region,” he was quoted by Syrian state television as saying after meeting Chinese Vice Foreign Minister Zhai Jun. Zhai, speaking hours before the shooting at the funerals, said Chinabacked Assad’s plan for a referendum on February 26 followed by multi-party elections to resolve the crisis. The opposition and the West have dismissed the plan as sham. The Chinese envoy appealed for an end to violence from all sides, including the government and opposition forces. His comments nevertheless amounted to a show of support against world condemnation of Assad’s crackdown on the popular uprising. “China supports the path of reform taking place in Syria and the important steps that have been taken in this respect,” he said. Beijing and Moscow have been Assad’s most important international defenders during the crackdown which has killed several thousand people and divided world powers. The United Nations, the United States, Europe, Turkey and Arab powers want Assad to step down and have condemned the ferocious repression. Russia and China vetoed a U.N. Security Council resolution on February 4 calling on Assad to quit and also voted against a similar, non-binding General Assembly resolution on Thursday. Syrian government forces meanwhile renewed their bombardment of the opposition stronghold of Homs on Saturday. A blanket of snow covered Homs, on the highway between Damascus and the commercial hub Aleppo, as Syrian troops pounded mainly Sunni Muslim rebel districts with rockets and artillery. The troops were close to Baba Amro, a southern neighborhood that has been target of the heaviest barrages since the armored offensive began two weeks ago, activists said. “Troops have closed in on Baba Amro and the bombardment is mad, but I don’t know if they are willing to storm the neighborhood while it is snowing,” activist Mohammad al-Homsi said from Homs. The military has also opened a new offensive in Hama, a city with a bloody history of resistance to Assad’s late father. The Assad clan are Alawites, an offshoot of Shi’ite Islam, in a majority Sunni country. Assad, who succeeded his father Hafez when he died in 2000 after 30 years in power, says he is fighting foreign-backed terrorists. The uprising began with civilian protests in March, but now includes a parallel armed struggle led by the loosely organized Free Syria Army, made up of army deserters and local insurgents. Syria’s other significant ally is Iran, itself at odds with the West. An Iranian destroyer and a supply ship sailed through the Suez canal this week and are believed to be on their way to the Syrian coast, a source in the canal authority said. The West is concerned that the conflict is sliding towards a civil war that could spread across the region’s patchwork of ethnic, religious and political rivalries. But it has ruled out Libya-style military intervention, instead imposing sanctions and urging a fragmented opposition, which includes activists inside Syria, armed rebels and politicians in exile, to present a common front against Assad. Tunisia, which is hosting a meeting on Syria next week, said on Friday Arab countries would encourage the opposition to unite before they would recognize them as a government-in-waiting. Syrian security forces fired on a huge crowd gathered for the funerals Saturday of demonstrators killed in rare protests in the capital after a senior Chinese envoy issued a plea for the bloodshed to end. Following Damascus talks with President Bashar al-Assad, Vice Foreign Minister Zhai Jun called on all sides in Syria to stop the violence and for planned elections, which have been denounced by the opposition, to go ahead peacefully, state media said. The Damascus funerals were for four people, two of them teenagers, who were killed when security forces opened fire on demonstrators in the capital’s west central Mazzeh district, which houses many government offices and embassies, a human rights group and activists said. “The forces of Assad are shooting on those taking part in the funerals and firing tear gas to disperse them,” Mohammad Chami, of the Local Coordination Committees which organise protests on the ground, said when contacted by AFP on Skype. The Syrian Observatory for Human Rights said there were casualties among the “thousands” attending the funerals without specifying their number or severity. Activists described Friday’s demonstrations in Damascus as “unprecedented,” saying there were 49 in all, and called for a “day of defiance” in the capital on Sunday to galvanise support. “It’s the first time that the protests have spread to well-to-do neighbourhoods,” said Moaz Shami of the LCC. Security forces also kept up their pounding of the flashpoint central city of Homs as the Chinese envoy visited. Rockets crashed into strongholds of resistance at the rate of four a minute on Friday, according to one activist, who warned that the city — Syria’s third largest — faces a humanitarian crisis. Thirteen of the 30 people killed on Friday were in the Homs district of Baba Amr, the Syrian Observatory said. After his talks with Assad, Zhai, whose government has twice joined Moscow in blocking UN Security Council condemnation of the Damascus regime’s deadly crackdown, said it was vital that “calm be restored as quickly as possibly,” state television reported. “The position of China is to call on the government, the opposition and the rebels to halt acts of violence immediately,” the Chinese envoy said. “We hope that the referendum on a new constitution as well as the forthcoming parliamentary elections pass off calmly,” he added. Assad for his part said the events in Syria were “aimed at dividing the country and delivering a blow to its geopolitical position and historical role in the region,” the official SANA news agency reported. On Thursday, Syrian opposition groups rejected a newly drafted constitution that could end nearly five decades of single-party rule, and urged voters to boycott a February 26 referendum on the charter. One of them, the National Coordination Committee for Democratic Change, told AFP “it is impossible for us to take part in this referendum before a stop to the violence and killings” which rights groups say has killed more than 6,000 people since March last year. Zhai’s meeting with Assad followed talks with his counterpart, Faisal Meqdad, late on Friday after which he said the international community must respect Syria’s sovereignty. “The sovereignty, unity, independence and territorial integrity of Syria must be respected by all sides and by the international community,” SANA quoted him as saying. On Thursday, before heading to Damascus, Zhai said Beijing opposed armed intervention and forced “regime change” in Syria. China and Russia have faced a barrage of criticism for blocking action by the UN Security Council, including from Arab nations with which Beijing normally has good ties. “China condemns all acts of violence against innocent civilians” and “does not approve of armed intervention or forcing so-called ‘regime change,'” Zhai was quoted as saying by the official Xinhua news agency. All eyes are on China as it races to become the world’s next great power. Smart bettors would be wise to put some money on India to get there first, and Edward Luce explains why in “In Spite of the Gods: The Strange Rise of Modern India,” his highly informative, wide-ranging survey. Mr. Luce, who reported from New Delhi for The Financial Times from 2001 to 2005, offers an Imax view of a nation so enormous that it embraces every possible contradiction. Always it seems to be teetering on the edge of either greatness or the abyss. Right now the future looks inviting. India’s dizzying economic ascent began in 1991, when the government abruptly dismantled the “license raj,” a system of tight controls and permits in place since independence in 1947. Mr. Luce, as you might expect from a Financial Times reporter, does a superb job of explaining the new Indian economy and why its transformation qualifies as strange. Unlike China, India has not undergone an industrial revolution. Its economy is powered not by manufacturing but by its service industries. In a vast subcontinent of poor farmers whose tiny holdings shrink by the decade, a highly competitive, if small, technology sector and a welter of service businesses have helped create a middle class, materialistic and acquisitive, along with some spectacularly rich entrepreneurs. Mr. Luce, notebook in hand, matches faces to trends as he tours India from the affluent, relatively well-governed south to the poor, hopelessly mismanaged north, where the age-old problems of illiteracy, poverty, government corruption and caste divisions persist. Much of the book consists of interviews and colorful vignettes intended to illustrate the myriad statistics that, out of context, can numb the mind. The blend of anecdote, history and economic analysis makes “In Spite of the Gods” an endlessly fascinating, highly pleasurable way to catch up on a very big story. As Mr. Luce dryly observes, “India never lacks for scale.” This is a country where 300 million people live in absolute poverty, most of them in its 680,000 villages, but where cellphone users have jumped from 3 million in 2000 to 100 million in 2005, and the number of television channels from 1 in 1991 to more than 150 last year. India’s economy has grown by 6 percent annually since 1991, a rate exceeded only by China’s, yet there are a mere 35 million taxpayers in a country with a population of 1.1 billion. Only 10 percent of India’s workers have jobs in the formal economy. Its excellent engineering schools turn out a million graduates each year, 10 times the number for the United States and Europe combined, yet 35 percent of the country remains illiterate. Despite its robust democracy and honest elections, India faces the future saddled with one of the most corrupt government bureaucracies on earth. Mr. Luce encounters a woman in Sunder Nagri, a New Delhi slum, whose quest for a ration card entitling her to subsidized wheat and other staples involved bribing an official to get an application form. The form was in English, which she could not read, so she had to pay a second official to fill it out. When she turned up to claim her wheat, it was moldy and crawling with insects. The store owner had evidently sold his good government wheat on the black market. Mr. Luce, traveling the country’s rickety rail system, covers an enormous amount of ground. He inquires into the Kashmir dispute while dissecting India’s fraught relationship with Pakistan; marvels over New Delhi’s spanking-new subway system; describes the middle class rage for megaweddings; pays a visit to Bollywood and, in some of his most absorbing chapters, analyzes the changing caste system, the status of India’s Muslims and the alarming rise of Hindu nationalism. All this and a visit to C2W.com, a Mumbai company that markets brands through the Internet, cellphones and interactive television shows. Its founder, Alok Kejriwal, is still in his 30s, and to Mr. Luce represents the new India. At one point, Mr. Luce ponders India’s constant state of chaos and compares it to a swarm of bees. From inside the swarm, things look random, but from the outside, the bees hold formation and move forward coherently. Sometime in the 2020s, at current growth rates, India will overtake Japan to become the world’s third-largest economy. Greatness lies within its grasp, Mr. Luce argues, if it can figure out a way to restructure its inefficient agriculture, put millions of desperately poor people in jobs that pay more than a pittance, wake up to a potential H.I.V.–AIDS crisis and root out government corruption. BEIJING (AP) — Caving to public pressure, Beijing environmental authorities started releasing more detailed air quality data Saturday that may better reflect how bad the Chinese capital‘s air pollutionis. But one expert says measurements from the first day were low compared with data U.S. officials have been collecting for years. The initial measurements were low on a day where you could see blue sky. After a week of smothering smog, the skies over the city were being cleared by a north wind. The readings of PM2.5 — particulate matter less than 2.5 micrometers in size or about 1/30th the average width of a human hair — were being posted on Beijing’s environmental monitoring center’s website. Such small particulates can penetrate deep into the lungs, so measuring them is considered a more accurate reflection of air quality than other methods. It is the first time Beijing has publicly revealed PM2.5 data and follows a clamor of calls by citizens on social networking sites tired of breathing in gray and yellow air. The U.S. Embassy measures PM2.5 from a device on its rooftop and releases the results, and some residents have even tested the air around their neighborhoods and posted the results online. Beijing is releasing hourly readings of PM2.5 that are taken from one monitoring site about 4 miles (7 kilometers) west of Tiananmen Square, the monitoring center’s website said Saturday. It said the data was for research purposes and the public should only use it as a reference. The reading at noon Saturday was 0.015 milligrams per cubic meter, which would be classed as “good” for a 24-hour exposure at that level, according to U.S. Environmental Protection Agency standards. The U.S. Embassy reading taken from its site on the eastern edge of downtown Beijing said its noon reading was “moderate.” Its readings are posted on Twitter. Steven Andrews, an environmental consultant who has studied Beijing’s pollution data since 2006, said he was “already a bit suspicious” of Beijing’s PM2.5 data. Within the 24-hour period to noon Saturday, Beijing reported seven hourly figures “at the very low level” of 0.003 milligrams per cubic meter. The Beijing center had promised to release PM2.5 data by the start of the Chinese Lunar New Year on Monday. It has six sites that can test for PM2.5 and 27 that can test for the larger, coarser PM10 particles that are considered less hazardous. The center is expected to buy equipment and build more monitoring sites to enable PM2.5 testing. Beijing wasn’t expected to include PM2.5 in its daily roundups of the air quality anytime soon. Those disclosures, for example “light” or “serious,” are based on the amount of PM10, sulfur dioxide and nitrogen dioxide in the air. “There has been tremendous amounts of attention in the Chinese media — whichever newspaper you pick up, whichever radio station you listen to, channel you watch — they are all talking about PM2.5 and how levels are so high,” said Andrews. “What has been so powerful is that people are skeptical, and I think rightly skeptical,” about the government’s descriptions of data, he said. After suffering major military and political defeats in bloody ground wars in Afghanistan and Iraq, failing to buttress long-standing clients in Yemen, Egypt and Tunisia and witnessing the disintegration of puppet regimes in Somalia and South Sudan, the Obama regime has learned nothing: Instead he has turned toward greater military confrontation with global powers, namely Russia and China. Obama has adopted a provocative offensive military strategy right on the frontiers of both China and Russia . After going from defeat to defeat on the periphery of world power and not satisfied with running treasury-busting deficits in pursuit of empire building against economically weak countries, Obama has embraced a policy of encirclement and provocations against China, the world’s second largest economy and the US’s most important creditor, and Russia, the European Union’s principle oil and gas provider and the world’s second most powerful nuclear weapons power. This paper addresses the Obama regime’s highly irrational and world-threatening escalation of imperial militarism. We examine the global military, economic and domestic political context that gives rise to these policies. We then examine the multiple points of conflict and intervention in which Washington is engaged, from Pakistan , Iran , Libya , Venezuela , Cuba and beyond. We will then analyze the rationale for military escalation against Russia and China as part of a new offensive moving beyond the Arab world ( Syria , Libya ) and in the face of the declining economic position of the EU and the US in the global economy. We will then outline the strategies of a declining empire, nurtured on perpetual wars, facing global economic decline, domestic discredit and a working population reeling from the long-term, large-scale dismantling of its basic social programs. Obama pronounced a policy of military encirclement of China based on stationing a maritime and aerial armada facing the Chinese coast – an overt policy designed to weaken and disrupt China ’s access to raw materials and commercial and financial ties in Asia . Obama’s declaration that Asia is the priority region for US military expansion, base-building and economic alliances was directed against China , challenging Beijing in its own backyard. Obama’s iron fist policy statement, addressed to the Australian Parliament, was crystal clear in defining US imperial goals. “Our enduring interests in the region [Asia Pacific] demands our enduring presence in this region … The United States is a Pacific power and we are here to stay … As we end today’s wars [i.e. the defeats and retreats from Iraq and Afghanistan]… I have directed my national security team to make our presence and missions in the Asia Pacific a top priority … As a result, reduction in US defense spending will not … come at the expense of the Asia Pacific” (CNN.com, Nov. 16, 2011). Obama’s presence at the APEC meeting of East Asian leader and his visit to Indonesia in November 2011 all revolve around efforts to secure US hegemony. Obama-Clinton hope to counter the relative decline of US economic links in the face of the geometrical growth of trade and investment ties between East Asia and China . While any one policy adopted by the Obama regime does not, in itself, present an immediate threat to peace, the cumulative impact of all these policy pronouncements and the projections of military power add up to an all out comprehensive effort to isolate, intimidate and degrade China’s rise as a regional and global power. 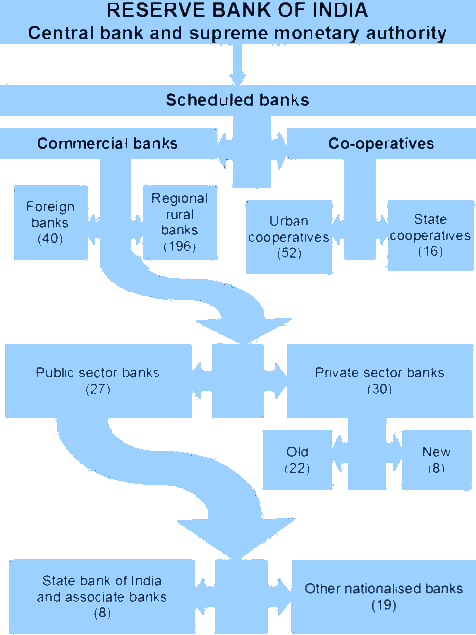 Military encirclement and alliances, exclusion of China in proposed regional economic associations, partisan intervention in regional maritime disputes and positioning technologically advanced warplanes, are all aimed to undermine China ’s competitiveness and to compensate for US economic inferiority via closed political and economic networks. Clearly White House military and economic moves and US Congressional anti-China demagogy are aimed at weakening China ’s trading position and forcing its business-minded leaders into privileging US banking and business interests over and above their own enterprises. Pushed to its limits, Obama’s prioritizing a big military push could lead to a catastrophic rupture in US-Chinese economic relations. This would result in dire consequences, especially but not exclusively, on the US economy and particularly its financial system. China holds over $1.5 trillion dollars in US debt, mainly Treasury Notes, and each year purchases from $200 to $300 billion in new issues, a vital source in financing the US deficit. If Obama provokes a serious threat to China ’s security interests and Beijing is forced to respond, it will not be military but economic retaliation: the sell-off of a few hundred billion dollars in T-notes and the curtailment of new purchases of US debt. The US deficit will skyrocket, its credit ratings will descend to ‘junk’, and the financial system will ‘tremble onto collapse’. Interest rates to attract new buyers of US debt will approach double digits. Chinese exports to the US will suffer and losses will incur due to the devaluation of the T-notes in Chinese hands. China has been diversifying its markets around the world and its huge domestic market could probably absorb most of what China loses abroad in the course of a pull-back from the US market. While Obama strays across the Pacific to announce his military threats to China and strives to economically isolate China from the rest of Asia, the US economic presence is fast fading in what used to be its “backyard”: Quoting one Financial Times journalist, “China is the only show [in town] for Latin America” (Financial Times, Nov. 23, 2011, p.6). China has displaced the US and the EU as Latin America’s principle trading partner; Beijing has poured billions in new investments and provides low interest loans. China’s trade with India , Indonesia , Japan , Pakistan and Vietnam is increasing at a far faster rate than that of the US . The US effort to build an imperial-centered security alliance in Asia is based on fragile economic foundations. Even Australia , the anchor and linchpin of the US military thrust in Asia, is heavily dependent on mineral exports to China . Any military interruption would send the Australian economy into a tailspin. The US economy is in no condition to replace China as a market for Asian or Australian commodity and manufacturing exports. The Asian countries must be acutely aware that there is no future advantage in tying themselves to a declining, highly militarized, empire. Obama and Clinton deceive themselves if they think they can entice Asia into a long-term alliance. The Asian’s are simply using the Obama regime’s friendly overtures as a ‘tactical device’, a negotiating ploy, to leverage better terms in securing maritime and territorial boundaries with China . Washington is delusional if it believes that it can convince Asia to break long-term large-scale lucrative economic ties to China in order to join an exclusive economic association with such dubious prospects. Any ‘reorientation’ of Asia, from China to the US , would require more than the presence of an American naval and airborne armada pointed at China . It would require the total restructuring of the Asian countries’ economies, class structure and political and military elite. The most powerful economic entrepreneurial groups in Asia have deep and growing ties with China/Hong Kong, especially among the dynamic transnational Chinese business elites in the region. A turn toward Washington entails a massive counter-revolution, which substitutes colonial ‘traders’ (compradors) for established entrepreneurs. A turn to the US would require a dictatorial elite willing to cut strategic trading and investment linkages, displacing millions of workers and professionals. As much as some US-trained Asian military officers , economists and former Wall Street financiers and billionaires might seek to ‘balance’ a US military presence with Chinese economic power, they must realize that ultimately advantage resides in working out an Asian solution. The age of Asian “comprador capitalists”, willing to sell out national industry and sovereignty in exchange for privileged access to US markets, is ancient history. Whatever the boundless enthusiasm for conspicuous consumerism and Western lifestyles, which Asia and China’s new rich mindlessly celebrate, whatever the embrace of inequalities and savage capitalist exploitation of labor, there is recognition that the past history of US and European dominance precluded the growth and enrichment of an indigenous bourgeoisie and middle class. The speeches and pronouncements of Obama and Clinton reek of nostalgia for a past of neo-colonial overseers and comprador collaborators – a mindless delusion. Their attempts at political realism, in finally recognizing Asia as the economic pivot of the present world order, takes a bizarre turn in imagining that military posturing and projections of armed force will reduce China to a marginal player in the region. The Obama regime has launched a major frontal military thrust on Russia ’s borders. The US has moved forward missile sites and Air Force bases in Poland, Rumania, Turkey, Spain, Czech Republic and Bulgaria: Patriot PAC-3 anti-aircraft missile complexes in Poland; advanced radar AN/TPY-2 in Turkey; and several missile (SM-3 IA) loaded warships in Spain are among the prominent weapons encircling Russia, most only minutes away from it strategic heartland. Secondly, the Obama regime has mounted an all-out effort to secure and expand US military bases in Central Asia among former Soviet republics. Thirdly, Washington , via NATO, has launched major economic and military operations against Russia ’s major trading partners in North Africa and the Middle East . The NATO war against Libya , which ousted the Gadhafi regime, has paralyzed or nullified multi-billion dollar Russian oil and gas investments, arms sales and substituted a NATO puppet for the former Russia-friendly regime. The UN-NATO economic sanctions and US-Israeli clandestine terrorist activity aimed at Iran has undermined Russia ’s lucrative billion-dollar nuclear trade and joint oil ventures. NATO, including Turkey , backed by the Gulf monarchical dictatorships, has implemented harsh sanctions and funded terrorist assaults on Syria , Russia ’s last remaining ally in the region and where it has a sole naval facility (Tartus) on the Mediterranean Sea . Russia ’s previous collaboration with NATO in weakening its own economic and security position is a product of the monumental misreading of NATO and especially Obama’s imperial policies. Russian President Medvedev and his Foreign Minister Sergey Lavrov mistakenly assumed (like Gorbachev and Yeltsin before them) that backing US-NATO policies against Russia ’s trading partners would result in some sort of “reciprocity”: US dismantling its offensive “missile shield” on its frontiers and support for Russia ’s admission into the World Trade Organization. Medvedev, following his liberal pro-western illusions, fell into line and backed US-Israeli sanctions against Iran , believing the tales of a “nuclear weapons programs”. Then Lavrov fell for the NATO line of “no fly zones to protect Libyan civilian lives” and voted in favor, only to feebly “protest”, much too late, that NATO was “exceeding its mandate” by bombing Libya into the Middle Ages and installing a pro-NATO puppet regime of rogues and fundamentalists. Finally when the US aimed a cleaver at Russia’s heartland by pushing ahead with an all-out effort to install missile launch sites 5 minutes by air from Moscow while organizing mass and armed assaults on Syria, did the Medvedev-Lavrov duet awake from its stupor and oppose UN sanctions. Medvedev threatened to abandon the nuclear missile reduction treaty (START) and to place medium-range missiles with 5 minute launch-time from Berlin , Paris and London . Medvedev-Lavrov’s policy of consolidation and co-operation based on Obama’s rhetoric of “resetting relations” invited aggressive empire building: Each capitulation led to a further aggression. As a result, Russia is surrounded by missiles on its western frontier; it has suffered losses among its major trading partners in the Middle East and faces US bases in southwest and Central Asia . Belatedly Russian officials have moved to replace the delusional Medvedev for the realist Putin, as next President. This shift to a political realist has predictably evoked a wave of hostility toward Putin in all the Western media. Obama’s aggressive policy to isolate Russia by undermining independent regimes has, however, not affected Russia ’s status as a nuclear weapons power. It has only heightened tensions in Europe and perhaps ended any future chance of peaceful nuclear weapons reduction or efforts to secure a UN Security Council consensus on issues of peaceful conflict resolution. Washington , under Obama-Clinton, has turned Russia from a pliant client to a major adversary. Putin looks to deepening and expanding ties with the East, namely China , in the face of threats from the West. The combination of Russian advanced weapons technology and energy resources and Chinese dynamic manufacturing and industrial growth are more than a match for crisis-ridden EU-USA economies wallowing in stagnation. Obama’s military confrontation toward Russia will greatly prejudice access to Russian raw materials and definitively foreclose any long-term strategic security agreement, which would be useful in lowering the deficit and reviving the US economy. Obama’s recognition that the present and future center of political and economic power is moving inexorably to Asia , was a flash of political realism. After a lost decade of pouring hundreds of billions of dollars in military adventures on the margins and periphery of world politics, Washington has finally discovered that is not where the fate of nations, especially Great Powers, will be decided, except in a negative sense – of bleeding resources over lost causes. Obama’s new realism and priorities apparently are now focused on Southeast and Northeast Asia, where dynamic economies flourish, markets are growing at a double digit rate, investors are ploughing tens of billions in productive activity and trade is expanding at three times the rate of the US and the EU. But Obama’s ‘New Realism’ is blighted by entirely delusional assumptions, which undermine any serious effort to realign US policy. In the first place Obama’s effort to ‘enter’ into Asia is via a military build-up and not through a sharpening and upgrading of US economic competitiveness. What does the US produce for the Asian countries that will enhance its market share? Apart from arms, airplanes and agriculture, the US has few competitive industries. The US would have to comprehensively re-orient its economy, upgrade skilled labor, and transfer billions from “security” and militarism to applied innovations. But Obama works within the current military-Zionist-financial complex: He knows no other and is incapable of breaking with it. Secondly, Obama-Clinton operate under the delusion that the US can exclude China or minimize its role in Asia, a policy that is undercut by the huge and growing investment and presence of all the major US multi-national corporations in China , who use it as an export platform to Asia and the rest of the world. The US military build-up and policy of intimidation will only force China to downgrade its role as creditor financing the US debt, a policy China can pursue because the US market, while still important, is declining, as China expands its presence in its domestic, Asian, Latin American and European markets. What once appeared to be New Realism is now revealed to be the recycling of Old Delusions: The notion that the US can return to being the supreme Pacific Power it was after World War Two. The US attempts to return to Pacific dominance under Obama-Clinton with a crippled economy, with the overhang of an over-militarized economy, and with major strategic handicaps: Over the past decade the United States foreign policy has been at the beck and call of Israel ’s fifth column (the Israel “lobby”). The entire US political class is devoid of common, practical sense and national purpose. They are immersed in troglodyte debates over “indefinite detentions” and “mass immigrant expulsions”. Worse, all are on the payrolls of private corporations who sell in the US and invest in China . Why would Obama abjure costly wars in the unprofitable periphery and then promote the same military metaphysics at the dynamic center of the world economic universe? Does Barack Obama and his advisers believe he is the Second Coming of Admiral Commodore Perry, whose 19th century warships and blockades forced Asia open to Western trade? Does he believe that military alliances will be the first stage to a subsequent period of privileged economic entry? Does Obama believe that his regime can blockade China , as Washington did to Japan in the lead up to World War Two? It’s too late. China is much more central to the world economy, too vital even to the financing of the US debt, too bonded up with the Forbes Five Hundred multi-national corporations. To provoke China , to even fantasize about economic “exclusion” to bring down China , is to pursue policies that will totally disrupt the world economy, first and foremost the US economy! Obama’s ‘crackpot realism’, his shift from wars in the Muslim world to military confrontation in Asia , has no intrinsic worth and poses extraordinary extrinsic costs. The military methods and economic goals are totally incompatible and beyond the capacity of the US , as it is currently constituted. Washington ’s policies will not ‘weaken’ Russia or China , even less intimidate them. Instead it will encourage both to adopt more adversarial positions, making it less likely that they lend a hand to Obama’s sequential wars on behalf of Israel . Already Russia has sent warships to its Syrian port, refused to support an arms embargo against Syria and Iran and (in retrospect) criticized the NATO war against Libya . China and Russia have far too many strategic ties with the world economy to suffer any great losses from a series of US military outposts and “exclusive” alliances. Russia can aim just as many deadly nuclear missiles at the West as the US can mount from its bases in Eastern Europe . In other words, Obama’s military escalation will not change the nuclear balance of power, but will bring Russia and China into a closer and deeper alliance. Gone are the days of Kissinger-Nixon’s “divide and conquer” strategy pitting US-Chinese trade agreements against Russian arms. Washington has a totally exaggerated significance of the current maritime spats between China and its neighbors. What unites them in economic terms is far more important in the medium and long-run. China ’s Asian economic ties will erode any tenuous military links to the US . Obama’s “crackpot realism”, views the world market through military lenses. Military arrogance toward Asia has led to a rupture with Pakistan , its most compliant client regime in South Asia . NATO deliberately slaughtered 24 Pakistani soldiers and thumbed their nose at the Pakistani generals, while China and Russia condemned the attack and gained influence. In the end, the military and exclusionary posture to China will fail. Washington will overplay its hand and frighten its business-oriented erstwhile Asian partners, who only want to play-off a US military presence to gain tactical economic advantage. They certainly do not want a new US instigated ‘Cold War’ dividing and weakening the dynamic intra-Asian trade and investment. Obama and his minions will quickly learn that Asia ’s current leaders do not have permanent allies – only permanent interests. In the final analysis, China figures prominently in configuring a new Asia-centric world economy. Washington may claim to have a ‘permanent Pacific presence’ but until it demonstrates it can take care of its “basic business at home”, like arranging its own finances and balancing its current account deficits, the US Naval command may end up renting its naval facilities to Asian exporters and shippers, transporting goods for them, and protecting them by pursuing pirates, contrabandists and narco-traffickers. Come to think about it, Obama might reduce the US trade deficit with Asia by renting out the Seventh Fleet to patrol the Straits, instead of wasting US taxpayer money bullying successful Asian economic powers. BEIJING (AP) — China stepped up its criticism Tuesday of a proposed U.S. law to punish countries with artificially low currencies, saying there would be serious repercussions for the world’s two biggest economies if it is passed. The criticism comes after U.S. senators voted Monday to open a week of debate on the bill that would allow the government to impose additional duties on products from countries that subsidize exports by undervaluing their currencies. How worried China is about the proposed law can be seen by the fact that the Foreign Ministry, the Commerce Ministry and central bank all issued statements denouncing it. But the legislation faces considerable hurdles before it becomes law. The Obama White House, while agreeing that China’s currency, the yuan, is undervalued, has been wary of unilateral sanctions against the Beijing government. Ma said China is reforming how it manages the yuan and that since June 2010 it had increased in value by 7 percent compared to the dollar. He repeated Chinese comments that the exchange rate is not the cause of America’s big trade deficit with China. Ma said in a statement that China is the fastest growing export market for the United States and trade is important to both sides. “The Chinese side appeals to the U.S. side to abandon protectionism and not to politicize trade and economic issues, so as to create a favorable environment for the development of China-U.S. economic and trade ties,” Ma said. Supporters of the legislation say it would create new jobs and boost the U.S. economy, but China, and some in the United States, say it could trigger a damaging trade war. The Chinese central bank warned the proposed law would not fix the economic problems in the United States and could cause more serious problems. If the bill passes, it “cannot resolve insufficient saving, the high trade deficit and the high unemployment rate in the U.S., and it may seriously affect the progress of China’s exchange rate reform and may lead to a trade war, which we do not want to see,” the bank said. Beijing, Aug 24 (IANS) China has urged Libya to protect its investments after a Libyan rebel said Chinese oil companies could suffer following the ouster of Muammar Gaddafi. Wen Zhongliang, deputy head of the ministry of commerce’s trade department, said the information manager at the rebel-run oil firm AGOCO, Abdeljalil Mayouf, had said Russian and Chinese firms could lose out on oil contracts for failing to back the rebellion against Gaddafi. ‘China’s investment in Libya, especially its oil investment, is one aspect of mutual economic cooperation between the two countries, and this cooperation is in the mutual interest of both the people of China and Libya,’ Wen was quoted as saying by the Shanghai Daily. ‘We hope that after a return to stability in Libya, Libya will continue to protect the interests and rights of Chinese investors and we hope to continue investment and economic cooperation with Libya,’ he said. China last year obtained three percent of its imported crude from Libya. About 150,000 barrels of oil per day – about one tenth of Libya’s crude exports – were shipped to China in 2010. Yin Gang, an expert on the Arab world at the Chinese Academy of Social Sciences in Beijing, said Abdeljalil Mayouf’s warning may not represent the position of an emerging, post-Gaddafi government in Tripoli. ‘This was one individual’s opinion. I can say in four words – They would not dare. They would not dare change any contracts,’ said Yin. ‘Libya is still in a state of chaos and hasn’t formed a government. There are certainly different views among the rebels,’ he said. The Libyan embassy in Beijing has reportedly switched to the red, black and green flag of the rebel group. BEIJING (Reuters) – China warned that recent U.S. surveillance flights near the Chinese coast have severely harmed strategic mutual trust and were a major obstacle hindering military ties between the two countries, state media reported Wednesday. Admiral Mike Mullen, chairman of the U.S. Joint Chiefs of Staff, vowed Monday to press ahead with surveillance flights near China despite opposition from Beijing, following reports that Chinese jets crossed a boundary with Taiwan to pursue a U.S. spy plane. Two Chinese Sukhoi-27 fighters last month briefly crossed a line in the center of the Taiwan Strait that is considered an unofficial air boundary between both sides. Asian media reported the Chinese jets were attempting to intercept a U.S. U-2 reconnaissance plane. “We demand that the U.S. respect China’s sovereignty and security interests and take concrete measures to boost a healthy and stable development of military relations,” the Global Times newspaper quoted the Ministry of National Defense as saying. The comments followed Mullen’s visit to China two weeks ago, part of efforts to improve ties with the People’s Liberation Army. Their ties have been rocky, with China unhappy with U.S. reconnaissance patrols near its coast and is suspicious of its bases in South Korea and Japan. China’s rapid military buildup and territorial disputes in the South China Sea have also sparked concerns in the region. The United States for its part wants greater military transparency from China over its military modernization, and has warned about China’s growing missile and cyber capabilities. Self-ruled Taiwan, claimed by China as part of its sovereign territory, has been another major irritant in Sino-U.S. military relations. China has been furious about a 2010 package of U.S. arms sales to Taiwan worth up to $6.4 billion.